If you don’t know what your career path holds, don’t worry, you're not alone. In fact, nearly half (47%) of all professionals ages 35 - 44 say they aren’t sure what their career path should look like, even after spending more than a decade in the workforce. Should they stay in the same job or take some time to invest in learning some new skills? They’re caught at a crossroads and may end up “sleepwalking” through their career, feeling like they’re on a treadmill going nowhere. 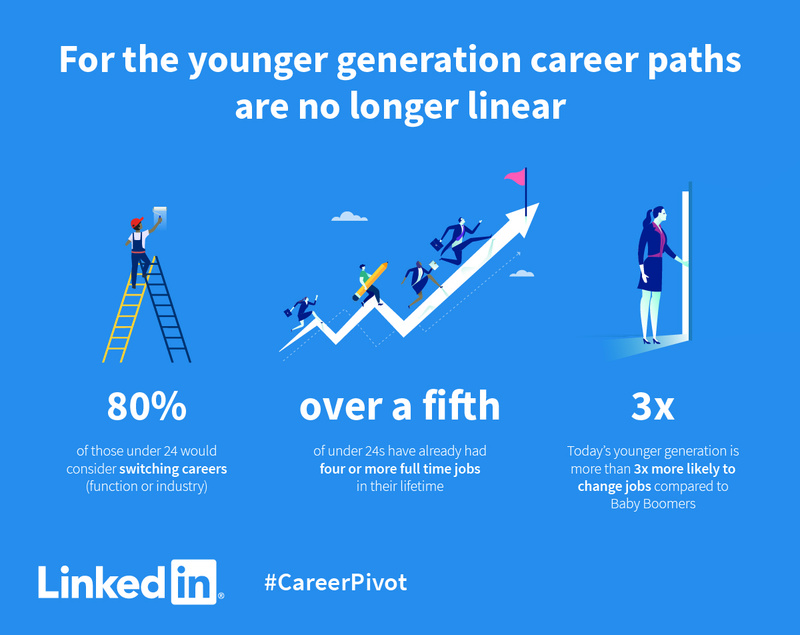 Yet, while some of us have been ‘Career Sleepwalkers’ more likely to stay in the same role or career a long time, the younger generation is bucking the trend moving through roles more frequently and pivoting in their careers from function or industry to achieve their dreams. 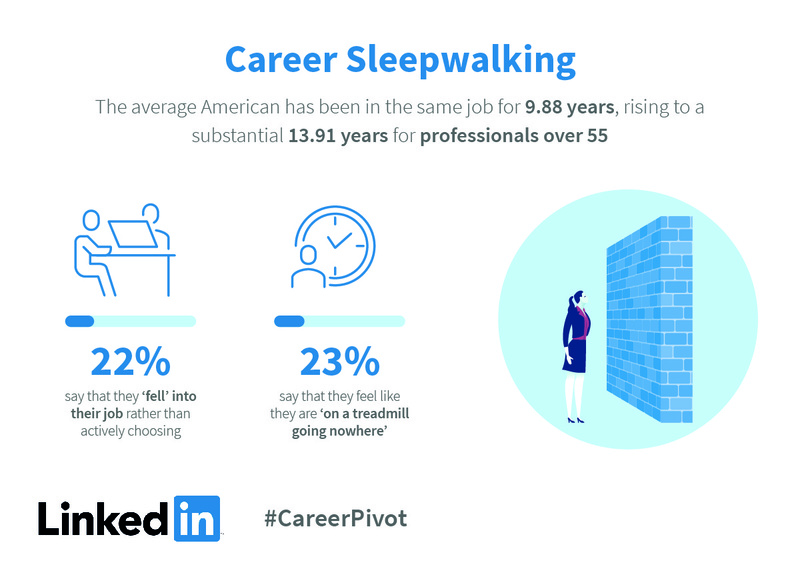 Career Sleepwalking isn’t something we are seeing across the board, in fact professionals under the age of 24 are viewing their careers differently than generations before them. Interestingly, 40% of professionals 24 and under say that they’d talk to their boss about making a career change if they had access to additional opportunities to learn and grow within the workplace. What professionals value in their careers also has some interesting differences between generations, with younger professionals placing more value on relationships and opportunities to continue learning. Overall, in previous research, we’ve also found that these opportunities to learn new skills and have more flexible schedules contribute to feeling successful in one’s career. It’s clear that the way we think about our careers is changing. We are moving towards a less linear career path with career pivots and more moves towards finding success and fulfilment. As a result, the power of connections and community has never been more important. On LinkedIn, you can not only connect with the people who matter to you, but you’ll also find millions of jobs and online training courses to help you follow your dream, achieve your goals and find success – whatever that looks like to you. If you’re looking to make a career change, check out these LinkedIn Learning classes - available for free for the next two months - to help you get started: Figuring Out Your Next Move and Taking Charge of Your Career. 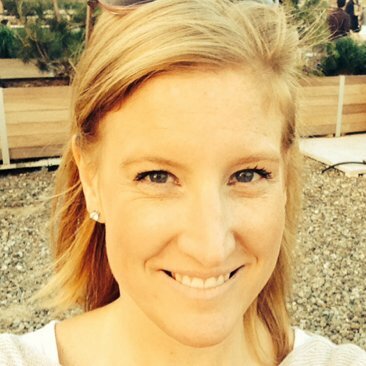 Do you have a #CareerPivot story? 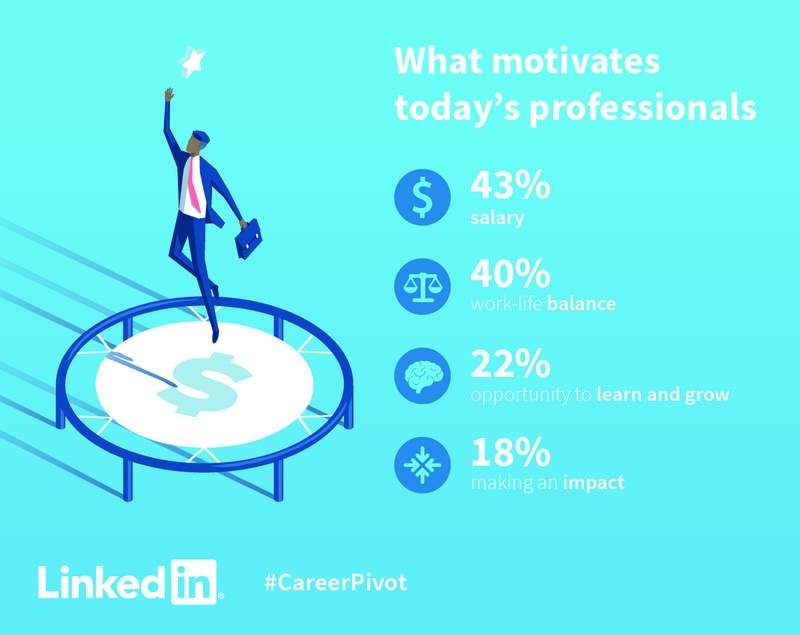 Share with us on LinkedIn using the #CareerPivot hashtag. LinkedIn surveyed more than 2,000 professionals in the United States in May 2018. Generation Z are defined as those who are under the age of 24.